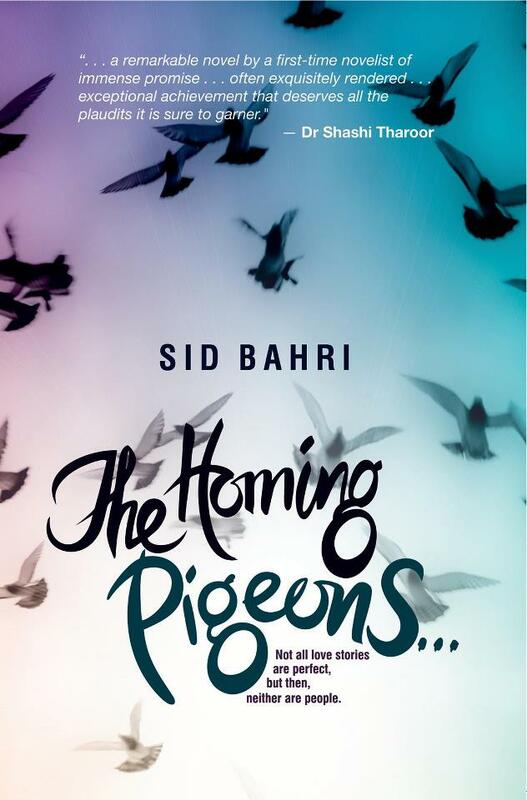 THE WRITING BUDDHA - Opinions | Books | Movies: The Homing Pigeons by Sid Bahri (Book Review)!!! It's the third Srishti Publication's book in the series. :-) This time I am done reading Sid Bahri's debut novel- "The Homing Pigeons" which also has the tagline "Not all love stories are perfect, but then, neither are people". It's 318 pages thick. The book is covered in a very beautiful cover page. The pigeons flying in the sky and the font in which the title of the book is written is in itself so compelling that one would pick up the book. Sid Bahri is a hotelier by education, an ex-banker and a senior executive in the outsourcing industry, Sid gave up a plush career in the outsourcing industry to follow his passions. Based out of Ranikhet, he is now a struggling entrepreneur and a happy writer. A self- proclaimed eccentric, he is an avid blogger who loves to read and cook. Cooking stories, however, is his passion. The Homing Pigeons is his debut novel. In the middle of the catastrophic 2008 recession, Aditya, a jobless, penniless man meets an attractive stranger in a bar. Little does he know that his life will change forever. When Radhika, a young, rich widow, marries off her stepdaughter, little does she know that the freedom she has yearned for is not exactly how she had envisioned it. They say homing pigeons always come back to their mate, no matter where you leave them on the face of this earth. The Homing Pigeons is the story of love between these two unsuspecting characters as it is of lust, greed, separations, prejudices and crumbling spines. The way story begins and Aditya has to turn gigolo is exciting. The way Radhika is being shown as a villain initially and then suddenly you get to know about her past, you start feeling bad about what happened to her in the childhood. The past of Aditya's family too is intensely put. Ok wait, let's stop here. How many such parts of this book am I going to list down here? There's so many of them. :-) This book is the perfect thing in which one can invest all his money that's in the budget of book-buying. And without any second thought, you can gift this book to anyone as its assured that the person is going to thank you immensely for giving them something which teaches so much about life. This book has every thing about life. As stated in its tagline, its not a cheesy love story as we presume it to be as its from an Indian writer. It's about life. It's about how we take decisions and later regret for it and then how life makes us go back to the starting point and repair every thing but this time the person for whom we wanted to change does not want the change. And its about many other perspective about life. You can see how speechless I am while writing this review that I am unable to understand as to which of the 100 good things about this book should I talk in a review that has to be short. :-) Ok let's end this then. I am glad that you loved the book so much Abhilash. 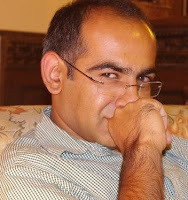 Sid is surely one of those Indian writers who will change the way the current Indian writing is looked at. Hoping we help the best literature reach the readers it deserves.